Agnes Robertson Arber was a British plant anatomist and morphologist, a Biology philosopher, and a Botany historian. Though born in London, most of her life was spent in Cambridge. In recognition of her contributions to botany, she was elected as a fellow of the Royal Society in 1946. She was the first woman botanist to be elected and only the third woman to be elected into this famous scientific institution. Because of her contributions to botanical science, Agnes Arber received the Gold Medal of the Linnean Society of London at the age of 69 – the first woman to receive such accolade. In terms of her scientific research, it focused on the monocotyledon class of flowering plants. During the beginning of the 20th century, she contributed to the development of morphological research and studies in botany. The later part of her life and works was concentrated on philosophy of botany topics, specifically on the nature of biological research. 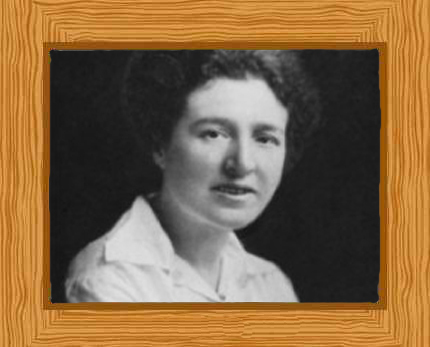 On February 23, 1879, Agnes Arber was born in London. She had three other younger siblings, Donald, Janet and Margaret. Her father was Henry Robertson, an artist, and her mother was Agnes Lucy Turner. Her father, being an artist, was her first art instructor in drawing during her childhood. Agnes would later use her drawing skills to illustrate her own scientific publications. Agnes began attending school at the age of eight at the Northern London Collegiate School for Girls, founded and run by one of the principal proponents for girls’ learning and education, Frances Buss. Her fascination with botany developed under the supervision of Miss Edith Aitken Arber, her science teacher. This fascination led her to publish her first research piece in 1894 in the school magazine. During her schools’ botany exams, Agnes achieved top marks and won a scholarship. It was during her time at school that Agnes met Ethel Sargent, a plant morphologist who regularly gave presentations to the science club in their school. In 1909, Arber moved to Cambridge after she married Edward Alexander Newall Arber, a paleobotanist. They had one daughter, who was born in 1913, Muriel Agnes Arber. Since both of them shared almost the same interests, the marriage was considered happy until 1918 when Edward Arber died after a period of ill health. Agnes Arber never remarried; instead, she spent most of her time on her research. At the back of her house was a small laboratory, which she used for her studies until in 1940. Then she shifted to philosophical study. She died at the age of 81 on March 22, 1960. After leaving school, Arber began a degree course at the University College in London. She spent the summer vacation of 1897 working with Ethel Sargent in her private laboratory. It was Sargent who taught her the microtechniques needed to prepare plant specimens for microscopic examinations. While studying at university, Arber would return to work at least once at Sargent’s laboratory during the summer months. Arber graduated with a first class degree from University College and won a scholarship to Newham College, Cambridge in 1899. She received a first class pass in 1902. While at University, Arber conducted studies on the gymnosperm class of plants, and she wrote various papers on their anatomy and morphology. The study and philosophy of the morphology of plants was to become the core focus of her later work. Between the years 1902 and 1903, Arber became Sargent’s research assistant focusing on seedling structures and in 1903 that she published her first paper about the anatomy of Macrozamia heteromera. Arber returned to work at University College in London and was awarded a lectureship in 1908. She remained there just for one year. In 1909, she married and moved to Cambridge, where her husband Edward Arber worked as a paleobotanist. In 1909, Arber worked at the Balfour Laboratory of Newnham College, one of the two women’s colleges in Cambridge. Arber worked there until the laboratory’s closure in 1927. Arber then moved her research to her laboratory at the back of her home. Arber studied the connection between the emergence and the development of botany following the natural history with plants’ evolution in terms of their descriptions, identifications, and classifications. She published her first book entitled “Herbals, Their Origin and Evolution” just after she received a Research Fellowship award given by Newnham College in 1912. With a lot of different researches and studies she had started and continued, Arber found a core topic to focus her research into – the morphology and anatomy of the monocot type and group of plants. This was inspired by her colleague and mentor Ethel Sargent. By 1920 she had become an author of two books and 94 other publications. Arber also made a comparative research on aquatic plants through exploring their morphologic differences. This led her to publish her second book – Water Plants: A Study of Aquatic Angiosperms. Five years after she published her second book, she published her third book called The Monocotyledons. It was a continuous study on the morphological methods of the analysis that she had presented in her book Water Plants. After the publication of her third book, Arber concentrated her research on the Gramineae group of plants, especially bamboo, grasses, and cereals. This focus resulted in the publication of her last book about plant morphology, The Gramineae. The book featured the life cycles, reproductive and embryologic, and vegetative cycles of bamboo, grasses, and cereals with the use of comparative anatomical scrutiny and exploration of these plants. In January 1942, Arber published her final paper on botanical research. Her later publications were then about philosophical and historical topics as she found it difficult to maintain her small laboratory during World War II. Despite stopping her laboratory works, she published more and more papers on her philosophical studies. Arber published her final book in 1957, The Manifold and the One which detailed her wider views and philosophical questions about the “Unity” of all things.